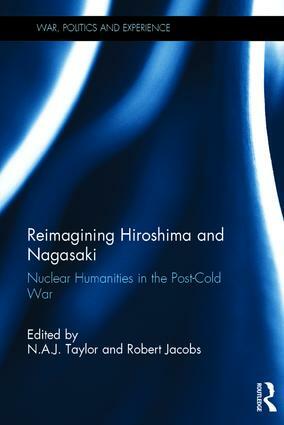 This edited volume reconsiders the importance of the attacks on Hiroshima and Nagasaki from a post-Cold War perspective. It has been argued that during the Cold War era scholarship was limited by the anxiety that authors felt about the possibility of a global thermonuclear war, and the role their scholarship could play in obstructing such an event. The new scholarship of Nuclear Humanities approaches this history and its fallout with both more nuanced and integrative inquiries, paving the way towards a deeper integration of these seminal events beyond issues of policy and ethics. This volume, therefore, offers a distinctly post-Cold War perspective on the nuclear attacks on Hiroshima and Nagasaki. The chapters collected here address the memorialization and commemoration of Hiroshima and Nagasaki by officials and states, but also ordinary people’s resentment, suffering, or forgiveness. The volume presents a variety of approaches with contributions from academics and contributions from authors who are strongly connected to the cities of Hiroshima and Nagasaki, and its people. In addition, the work branches out beyond the traditional subjects of social sciences and humanities to include contributions on art, photography, and design. This variety of approaches and perspectives provides moral and political insights on the full range of vulnerabilities – such as emotional, bodily, cognitive, and ecological – that pertains to nuclear harm. This book will be of much interest to students of critical war studies, nuclear weapons, World War II history, Asian History and International Relations in general. N.A.J. Taylor is a lecturer in Australian Environmental Philosophy at the University of Melbourne, Australia. Robert Jacobs is a professor at the Hiroshima Peace Institute and Hiroshima City University, Japan.